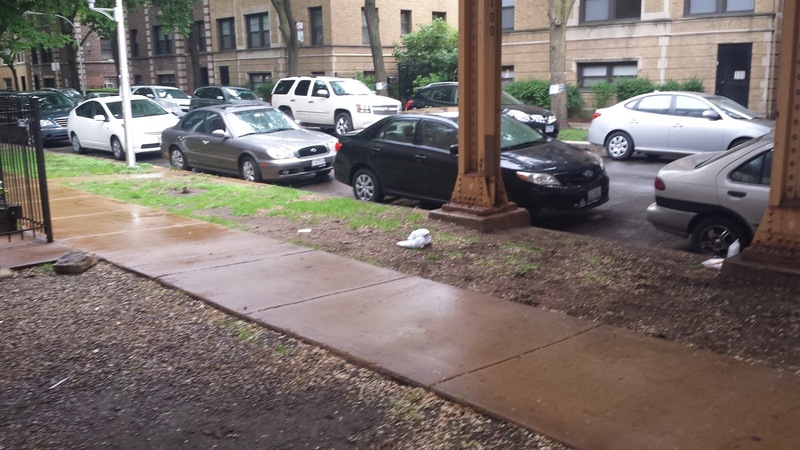 The victim died on the grass to the left of the L tracks pillar. UPDATE 7:23PM: Charges filed. More details on our follow-up report HERE. UPDATE 12:30PM - A source has told us that police notification of family and/or friends took place in the nearby 1300 block of Fletcher this morning. UPDATE 4:30PM-While the victim's legal address is in suburban Palos Park, we have been told that he may have lived in our neighborhood at the Fletcher address. UPDATE 5:10PM: DNAInfo Chicago has more about the victim. UPDATE 6:54PM: We are receiving word that charges have been filed. A suspect is in custody after a 25-year-old man was shot dead during an apparent cell phone robbery overnight in the 900 block of Oakdale. An officer found the victim on the ground next to the L tracks at 942 Oakdale at 2:06 this morning and soon discovered two gunshot wounds in the man's chest. The victim was pronounced dead at the scene. the Wellington CTA platform, which was closed for the night. 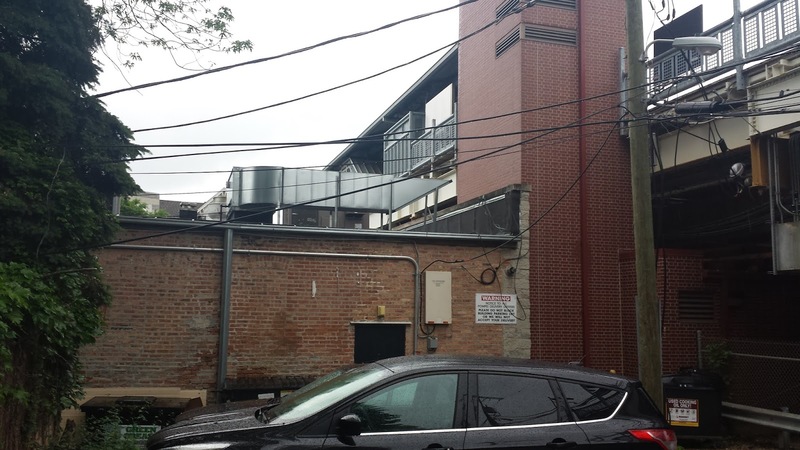 A manhunt ensued for the offender and police found a man matching the gunman's description on the Wellington Brown Line station platform at 2:34AM. About 200 feet from the murder scene, a small chrome revolver, believed to be the murder weapon, was recovered in a neighbor's back yard. 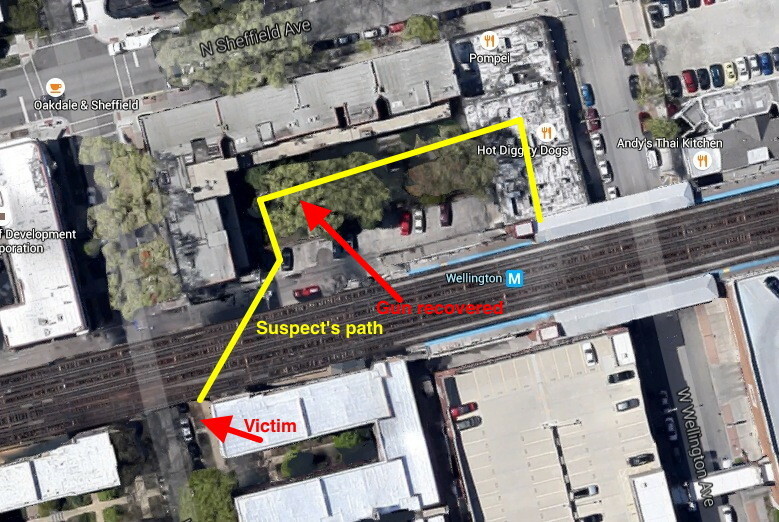 Map showing location of the victim, the recovered handgun, and the suspect's escape route. The gunman fled into a series of yards that offered no escape to Sheffield Avenue. Trapped, he climbed onto a nearby roof and then made his way to a low-hanging CTA platform. According to a witness, the victim screamed, "He took my phone! He took my phone!" indicating that the shooting may have occurred when an all-too-common mugging went sideways. While police have not officially announced robbery as a factor, an officer on-scene confirmed that early indications are that an altercation erupted when the offender targeted the victim's cell phone. Witnesses say the offender—a black man about 6-feet tall, 160 pounds, with a buzz cut—was wearing a torn gray tank top, dark gym shorts, and black tube socks. He was last seen running north under the L tracks after opening fire. Officers climbed into the Wellington station, which is closed overnight, by scaling a nearby building. There, they found a man who resembled the shooter's description on the southbound platform. That man was taken in for questioning.